York has been named a “Play Ball City” by MLB Commissioner Rob Manfred’s office, as mayors throughout the country are implementing the initiative with the goal of strengthening the connection between communities and our national pastime. 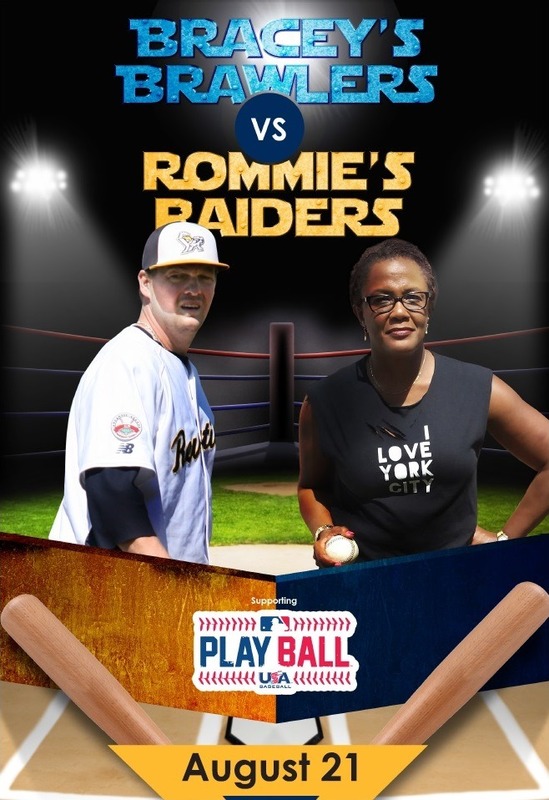 Bracey’s team of community leaders will have their hands full, as Rommie Lewis will manage a group of serious players from York City Little League. “I encourage our youth to become involved in positive, healthy and fun activities such as baseball.” “I am excited to support The U.S. Conference of Mayors and Major League Baseball’s “Play Ball” initiative,” stated Mayor Bracey. Team Bracey’s Brawlers will include: State Representative Kevin Schreiber, Former Philadelphia Eagles Football Player, Ron Johnson, School District of the City of York Board of Directors Member & Candidate for York City Council, Sandie Walker, City of York Public Works Director, Jim Gross, City of York Business Administrator, Michael Doweary, City of York Assistant Solicitor, Jason Sabol, Legacy Builder, Jordan Ray, Legacy Builder, LeVaysha Dowling, and Grandson of Mayor Bracey, Brandon. PlayBall.org also provides parents, coaches and kids with information on how to get involved with Play Ball activities, links to youth-related news and events and searchable maps with links on how to join community baseball leagues. The whiffle ball game is open to media coverage and open to the public. Journalists may observe/photograph the game from the field, and the York Revolution press box will be open to any working media for the baseball game that night and all of the pre-game MLB “Play Ball” activities.